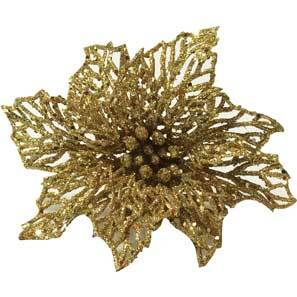 • Glittered poinsettias measure approximately 6" across. • Each is on a 5" plastic coated wire pick. • 12 picks per pack.